Vicksburg, named by AAA Southern Traveler and AAA Midwest Traveler as one of the top 13 places to visit in 2013, kicks off Civil War Sesquicentennial (150th Anniversary) events in April and continues through July 4, the anniversary of the Siege of Vicksburg’s surrender. President Abraham Lincoln said “Vicksburg is the key”. Confederate President Jefferson Davis said “Vicksburg is the nail head that holds the South’s two halves together”. Both presidents were aware of the strategic importance of Vicksburg on the Mississippi River in 1863. Vicksburg National Military Park, named by the National Park Service as a venue for a Civil War sesquicentennial signature events, commemorates this campaign and its significance as a critical turning point of the Civil War 150 years ago. 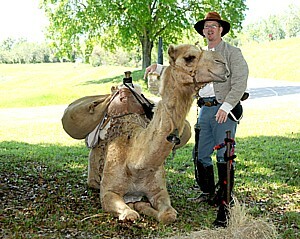 Events begin in April with Tapestry: The Pilgrimage to Vicksburg and the Vicksburg Heritage Fair. The Heritage Fair, Friday, April 5, through Sunday, April 7, will spotlight downtown attractions such as Confederate General John C. Pemberton’s Headquarters on Crawford Street, the Southern Cultural Heritage Foundation, and the Old Court House Museum. Crafts people, musicians, and dancers will participate in the heritage fair telling the story of civilian life during the Civil War. Part of the fair will involve a debate and discussion of Civil War topics by actors portraying significant persons involved in the war. Memorial Day Weekend marks the signature event including: free, open air concerts by the U.S. Navy Band, Mississippi Symphony Orchestra with special guest and country music superstar Trace Adkins and Jackson Mass Community Choir; commemorations of the first assault on the city and the second assault of Vicksburg’s defenses; living history presentations that include cannon demonstrations, the Texas Camel Corps and interpretation of soldier everyday life during the Civil War; Shadows of the Past Living History Tours; a display of Special Boat Unit 22, part of the Navy’s modern river forces; a rededication of the Iowa Memorial; special programs on Civil War engineering and siege tactics and on African Americans and the Civil War exploring the roles of freeman, U.S. 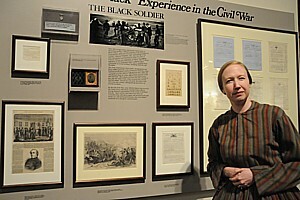 Colored Troops and enslaved peoples; and Soldiers through the Ages where a timeline of the military will be presented through static displays and programs. On July 3, to commemorate the date the decision was made to surrender Vicksburg, the Friends of Vicksburg National Military Park and Campaign is working with the Vicksburg National Military Park to create a Grand Illumination. Approximately 20,000 luminaria will be spread throughout the park to memorialize the 20,000 American lives, both Union and Confederate, which were casualties of the Battle for Vicksburg. Over 500 volunteers will work to set up the lights at each state memorial to honor that state’s loss, a spectacular memorial never before endeavored. For more information, visit www.nps.gov/vick or www.visitvicksburg.com.